Real Estate donations can provide you with highly beneficial tax results and allow you to achieve significant and important charitable goals. A donation of real estate to Chabad of Coconut Creek & W Pompano Beach often minimizes taxes and provides an immediate income tax deduction. If you prefer, a gift of real estate can also provide regular income for you through an annuity, and you may also be able to continue to live in or otherwise use the property, rent free, even after you donate it. Whether or not you have ever considered the idea of donating real estate to charity in the past, you will benefit from learning more about Chabad of Coconut Creek & W Pompano Beach. 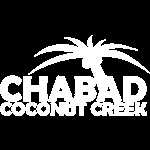 Chabad of Coconut Creek & W Pompano Beach works with professionals with years of experience evaluating, marketing, and selling real estate. So this allows Chabad to manage the receipt and subsequent sale of your property anywhere in the United States, and provides a simple way for you to instantly reap the considerable rewards of a sizeable charitable donation. More and more individuals and businesses are realizing the benefits of donating real estate to Chabad of Coconut Creek & W Pompano Beach, a tax-exempt IRS-registered 501(c)(3) non-profit organization. Chabad of Coconut Creek & W Pompano Beac allows you to open the door to your charitable passions and enjoy the many rewards of philanthropy by making donations of real estate. You can take advantage of the expertise of Chabad and learn more about making gifts of real estate by contacting the Chabad Coconut Creek, (954) 427-7788 or Rabbi@ChabadFlorida.com . The interest, including bond discount, receivable on the bond that is attributable to any period before the contribution, and that is not includible in your income due to your accounting method. You can take advantage of the expertise of Chabad and learn more about making gifts of real estate by contacting the Chabad Coconut Creek & W Pompano Beach at (954) 427 - 7788 or Rabbi@ChabadFlorida.com.